Saba is a fruit from Africa. It is believed to be a native of Sahel of Africa. It is commonly found growing in Western Tropical Africa from Senegal to Togo. 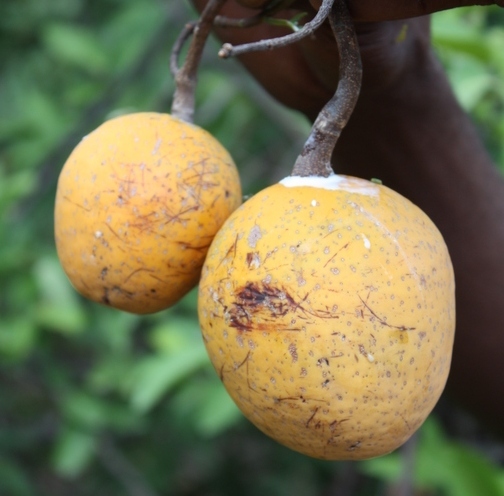 The fruits are often eaten by local people and also offered for sale at some places. But still saba is not grown as an orchard fruit except in gardens as a sample tree. The fruits are collected from wild only. Saba has also not yet travelled beyond Africa. 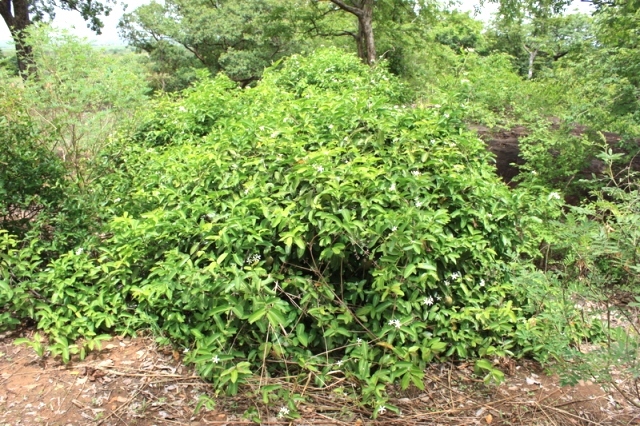 A liana up to 40 m long, often shrub like; trunk up to 20 cm in diameter; bark rough or scaly. Leaves opposite, petiole 4-14.5 mm long; lamina 1.5-3 times as long as wide, apex rounded, obtuse, shortly acuminate or apiculate with 7-14 pairs of secondary veins, tertiary venation reticulate or scalariform, submarginal veins abundant. Inflorescence a 3-30 flowered lax cyme, peduncle 2.5-6 cm long, pedicels 2.5-8 mm long. Sepals shortly apiculate. 1-1.5 times as long as wide, corolla with a yellow throat; tube 5-9 times as long as the calyx. Stamens inserted 3.5-6 mm above the corolla base; filaments 0.4-1 x 0.1 mm, anthers 1-2 x 0.2-0.5 mm, ovary often ribbed, glabrous with ca 30 ovules, style 1.5-3 mm long, pistil-head 1.7-2 mm long, basal part up to 1.8 mm long. Fruit 5-15 x 4-10 cm, 1 mm thick walled. 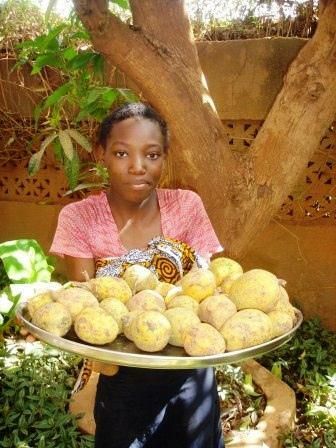 Saba is a highly prized fruit and in parts of Africa, these are also important to the rural economy. The fruits are collected by people in villages and sold. 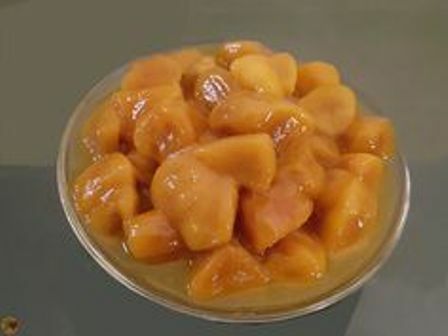 The seeds are coated with an aromatic sweet and sour flesh. Most are eaten as casual snacks, but some are employed even as a staple, especially during the rainy season. They are also blended with water and sugar and made into fruity beverage. 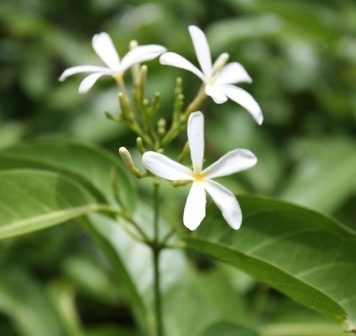 Saba plant is also very ornamental and so is often grown as an edible ornamental in the garden. The plant is believed to have medico-magical attributes and is often preserved on the outskirts of villages. 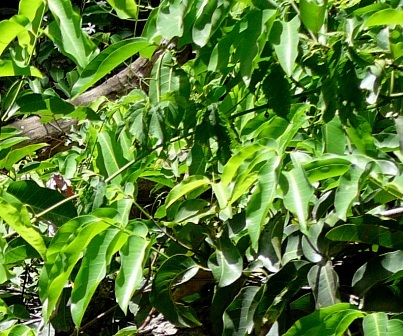 Saba trees are not cultivated for fruits. These are, however, sometimes protected by villagers for picking their fruits and also for me4dicinal uses. Of course, some trees are planted in garden as specimen plants or for ornamental purposes.